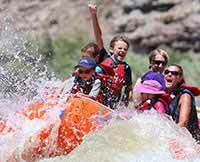 We were looking for a Moab Water Rafting Trip and were happy to find the Green River Trip. Wonderful customer service from all your staff! - What more can I say!